St. Mark’s Episcopal Church in Little Rock invites everyone to join them Friday, Feb. 3–Saturday, Feb. 4 for a seminar titled “There is More to You Than You Think” with Bishop Larry Maze. The seminar will explore the inner spiritual journey employing Jungian spirituality to help discover parts of yourself you never knew existed. The cost for the seminar is $35 per person and includes lunch on Saturday. You may pay at the door or online. Check the website for more information. Bishop Maze retired from the Diocese of Arkansas in 2007 and is now Bishop-in-Residence at Saint Mark’s Episcopal Church in Little Rock. He speaks on the topics of Jungian spirituality and dreamwork and how it interfaces with Christian spirituality. He has led teaching conferences in many areas of the southeast and serves on the faculty of The Haden Institute. 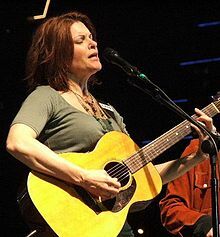 The radio show On Being has recently aired an interview with singer/songwriter Rosanne Cash about her spirituality, which she calls neo-folk, pagan, post-feminist, progressive, Buddhiscopalian. Their conversation covers Jungian analysis, Jung’s five big dreams, quantum physics, songwriting, her father, religion, discernment, living, and dying. You can listen to the interview online, both edited and complete, or read a transcript of it, though listening is much better so you can catch all the wonderful music included. There’s also a video of the live-streamed interview.